NetBSD is especially known for it’s diverse platforms it can run on. What is less known is the ability to audit the installed packages. In this article we have a look on how to audit NetBSD and ensure the file integrity of your packages. Performing a security audit is easy, as long as you use the right tool! When using packages, their metadata will be installed in directory within /var/db/pkg. This tree contains information about the packages. This directory can also contain a file named pkg-vulnerabilities. This file contains information about software vulnerabilities and can be used to check what installed software packages are vulnerable. When we look into the subdirectories within /var/db/pkgs, we see a structured format of files, which include the actual metadata about the package. Besides normal information (like a version number), there are actually some shell scripts. Mostly they deal with the directories, files and permissions. Before checking the system, it will need the pkg-vulnerabilities file. Installing is as easy as running the pkg_admin tool with the fetch-pkg-vulnerabilities parameter. With the audit parameter we can start a vulnerability scan. It perform a security audit on the installed packages. Every package which matches a specific version, will be flagged. Another thing the pkg_admin tool can perform, is an integrity check of the installed files. It uses the metadata from the packages directory and compares them with the actual files on disk. This small NetBSD utility is very nifty tool and a sign that NetBSD is taking security serious as well. Happy auditing! 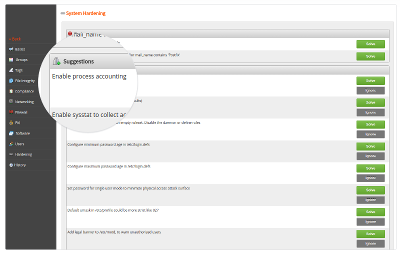 I think my PATH is screwy – could you please tell me where pkg_admin should be by doing a ‘which’ on it? Ta v much for a nicely put together article! I guess you are missing /usr/pkg/bin:/usr/pkg/sbin in your PATH. Thanks, feel free to share it with others. Is there a way to setup a similar security audit on ubuntu? Yes you can find that information from the -security repository. Or make it yourself easy and use Lynis to detect if you have any vulnerable packages.